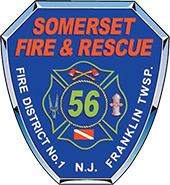 3/3/17 – 05:34 Somerset Fire & Rescue Co. No. 1 responded on a RIC assignment to a 2nd alarm fire in fire district 3. Crews operated on the scene for approximately 1 hour no injuries were reported. 3/2/17 – 15:32 Fire District No. 1 companies were dispatched to a possible structure fire at 397 Windfall Ln. While responding a working fire was confirmed by FM8-E. Car 26 (Fredericks) upgraded the call to what would eventually become 2 full alarms. The first arriving units immediately established a water supply, protected the exposure buildings and deployed multiple heavy water streams on the fire building. The main body of fire was under control in approximately 30 minutes. The crews remained on the scene for a few hours to completely extinguish the fire with the assistance of a piece of heavy equipment. No injuries were reported. The cause of the fire is under investigation by the Franklin Township Fire Prevention Department.